A meeting of two growing sets of Finnish musicians, the Black Motor trio and Verneri Pohjola is a cause for celebration. 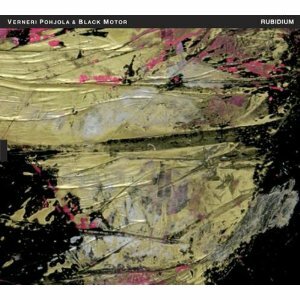 The artfulness of Pohjola's trumpet and expansive sound of the Black Motor have produced the stellar, Rubidium. An album covers a small amount of ground but provides every bit of detail in the journey. "Song Of India" (originally written by Rimsky-Korsakov, is wonderfully and creatively filled and stretched all over the place. While still keeping the underlining romantic nature of the original piece, the quartet do manage to bring in new bold structures that give the tune more improvisation and originality. "Rubidium" and "Old Papa's Blues" feel like soulmates. Both tight ballad frameworks are definitely free formed epics that highlight each musician at their best during this session. A bright and intense conversion happens between Pohjola and Laihonen during the title that is just soft but still killer. "Old Papa's Blues" is an emotional dedication and celebration with the trio being more the focal point. "Kynnyspuulla" is almost indescribable in its depth and beauty. Soulful, epic and the emotional distance that Sippola's sax travels in staggering. The piece is slow moving and drips with intensity. Moving passages of stillness and heartache, the quartet take the listener on a journey that is immediate and passionate. Rubidium is a great session of young musicians with immense talent that continue to be on the rise. They are showing how expansive the Finnish jazz scene continues to be. This is an excellent outing and well worth checking out. I hope you dig it as much as I did.